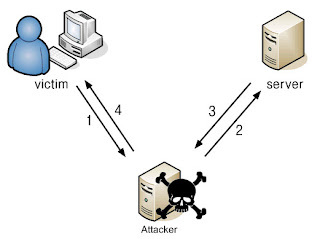 DNS spoofing or DNS cache poisoning is a computer hacking attack in which data is introduced into a Domain Name System(DNS) name servers cache database, which causes the name server to return to an incorrect ip address, diverting traffic to another computer. In simple words, it redirects the traffic to another website. Install Cain & Abel from HERE and open it, go to configure and select your adapter. Select Sniffer option and then select the start/stop sniffer option from the toolbar. Right click in the white area and then click on scan MAC addreses. After scanning click on the APR option in the left bottom corner. Then click on the + sign in the top and select the computers you want to mess with. Now click on the start/stop option. Now wait for a minute and see what happens to the victim. (In my case when the victim will open www.facebook.com he will be redirected to www.myspace.com). You can use any websites of your choice.